A STUNNING DESIGNER RENOVATION PLUS A BEAUTIFULLY MAINTAINED AND FULLY FURNISHED PROPERTY EQUATES TO A WINNING COMBINATION! 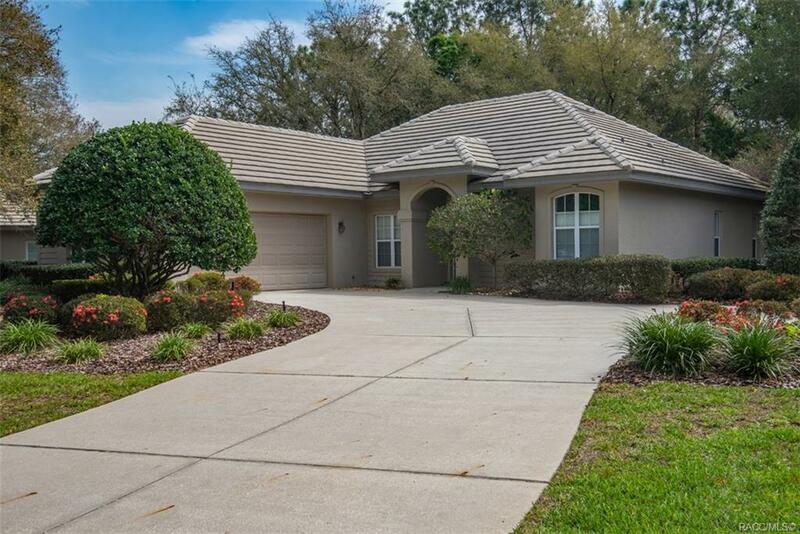 Spacious and Open Floorplan includes Large Kitchen with drop dead gorgeous granite countertops & Stainless Steel Appliances, Breakfast Nook, Combo Great Room & Dining Area and a Large Scale Covered Lanai. Three Bedrooms, gracious in size, plus 2 Exquisite Baths both with Granite Countertops complete this desirable residence. Additional features include both Premium Light Fixtures and Plumbing Fixtures, Stainless Steel Farm Sink and striking backsplash. Within the Guard Gated Enclave of Black Diamond Ranch, one of Florida's Premier Golf and Residential Communities, it is rare to find a property in this condition and at such an attractive price. Both Golf and Social Memberships into Black Diamond are available for purchase but certainly optional. Priced for Immediate Sale! Directions: From The Entrance To Black Diamond, Stay Straight On Black Diamond Circle. Right On N Barton Creek Circle.